You may not believe it, but it's true! It's January, folks. Now is the time to start paying attention to the presidential campaign season. All the crap we've heard thus far is little more than media hype—a dog-and-pony show of manufactured filler masquerading as gravitas. One of the questions that every voter should ask is this: What is the proper role of government? If you believe the Borg—sorry, that swarm mind called "GOP candidates"– government has no role. The GOP loves to dust off a silly axiom uttered by Ronald Reagan: "Government is not the solution to our problems; it's the problem." Of course, The Great Pretender then used the power of government to enact a massive giveaway to the 1%, fund budget-busting increases to the military, stack federal courts, bust labor unions, and legislate morality. Reagan never actually believed his own sound bite for a simple reason: Americans complain about government, but they actually like it. Bernie Sanders has been saying this for decades. We hear lots of noise about how Americans want government out of their lives, how they despise liberals, and how much they believe in an unregulated economy, but it's not actually true. If you ask a question in a simplistic way, you get simplistic answers, but if you get specific about what people want, Americans come up with things that look suspiciously like a progressive agenda. But you don't have to take Bernie's word for this, or mine, or those of hopeful liberals. Try the Pew Research Center. It's that rarest of bodies, a think tank that is truly nonpartisan in the sense that it advocates for or against nothing. Pew collects data and reports it—nothing else. A December scientific poll of 6,000 Americans took thirteen issues and asked whether they thought they should be a "major role for government." They were: keeping the nation safe from terrorism, responding to natural disasters, ensuring food and medicine safety, immigration policy, maintaining infrastructure, protecting the environment, improving the economy, improving education, income protection for senior citizens, setting workplace standards, access to health care, aiding the poor, and space exploration. Of these, the only one the public was willing to entrust to the private sector was space exploration, and it by a slim margin. Outside of the Beltway there's not much of a sense that the private sector strengthens the economy. Nearly three of four (74%) saw that as the government's job. Nor do they want states to set immigration policy; 81% saw that as the Fed's task. All the hue-and-cry over Obamacare runs counter to the fact that 61% of public think government ought to manage health care. In fact, the only thing other than space exploration for which less than 60% of the public was willing to entrust the government was helping people get out of poverty and even that got a 55% stamp of approval. The Pew data suggests that what really bugs people is that government doesn't always do a great job of discharging its duties. When asked if government was "doing a good job," poll data sinks—though probably not as low as you'd expect. There were only three areas in which a majority of Americans felt the government had fumbled the ball: just 28% think it has done a good job on immigration policy, only 36% give it high marks for helping people escape poverty, and only 48% credit it with protecting well the income of seniors. Back to health care, 56% of Americans seem to think the government is providing decent access to health care. and 51% approve of how it handles space exploration—which, ironically, is higher than the percentage of those who think it's government's job in the first place. Some polling numbers to watch: 76% think the government does a good job in setting workplace standards, which suggests Trump's CEO-driven business model won't resonate beyond his core, and 72% think they've been reasonably protected from terror—a suggestion that red meat Republicans are barking up the wrong tree. All of the environmental data is bad news for climate change deniers, and calls to repeal Obamacare looks like a loser. The red flags for Democrats start with immigration. The data is neutral, but it's clear that voters want to hear something new on this issue. Bare majorities (51%) think the government has done a good job with the economy or education, which suggests that Democrats ought to pay more serious attention to Sanders-like calls for job creation, wage protection, and slowing the pace of globalization. Nor would it hurt to go rogue on educational testing, No Child Left Behind, and other such policies. Overall, though, the Pew data favors Democrats—if, and only if, they can stop being apologetic about being liberal or progressive. 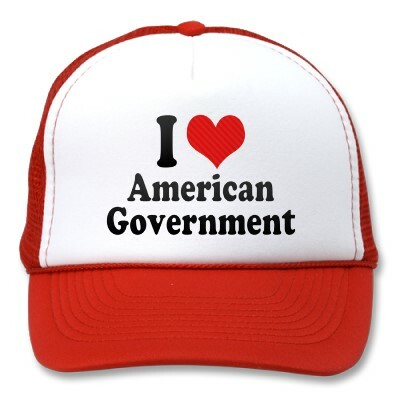 Sanders is right: Americans do believe in government; they just want officials to do their damn jobs! Movie Madness, Celtic Corner, Cranky Notions Cranky Notions, How Cool Is This? Season Seven of Downton in the Works!